Home » Adventures with the Parents » Yes. 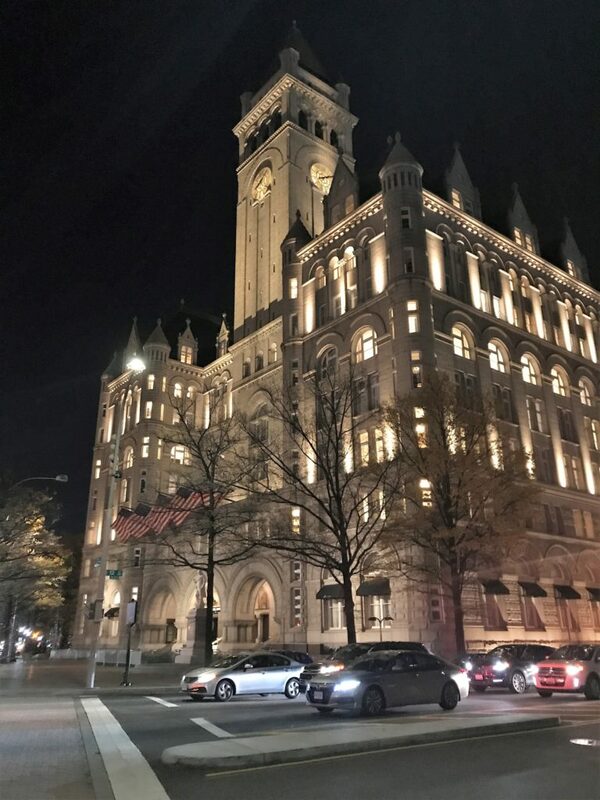 I Drank a $27 Cocktail at Trump International Hotel in Washington, D.C. Yes. 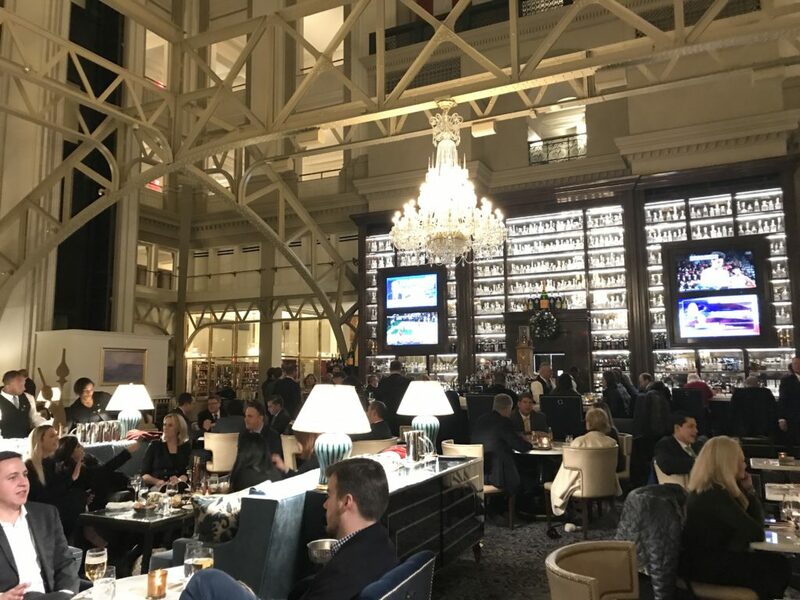 I drank a $27 cocktail at Trump International Hotel in Washington, D.C., and I have no regrets. We are certainly living in strange times. Thirty years ago, who would have thought the President of the United States would be an active businessman and reality television star? Cheers! I’m Drinking the $27 The Belle of Congress and My Dad is Drinking a Manhattan, at Benjamin Bar & Lounge, Trump International Hotel in Washington, D.C., Nov. 2018. Well, here we are in the 21st century and the age of President Donald J. Trump. As a disclaimer, this is not a political statement, although, I believe there is a place for politics and travel to intertwine. One of my favorite books, Travel as a Political Act by Rick Steves, addresses that. 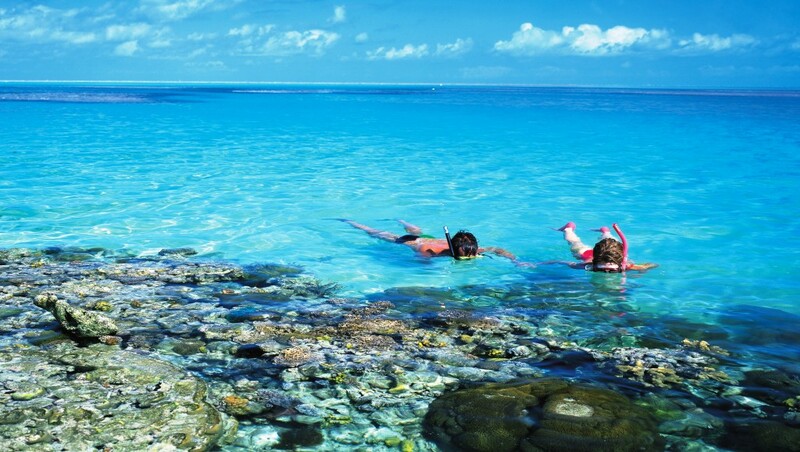 This post is just a travel tale. Benjamin Bar & Lounge is Located in Trump International Hotel in Washington, D.C., a Former U.S. Post Office, Nov. 2018. 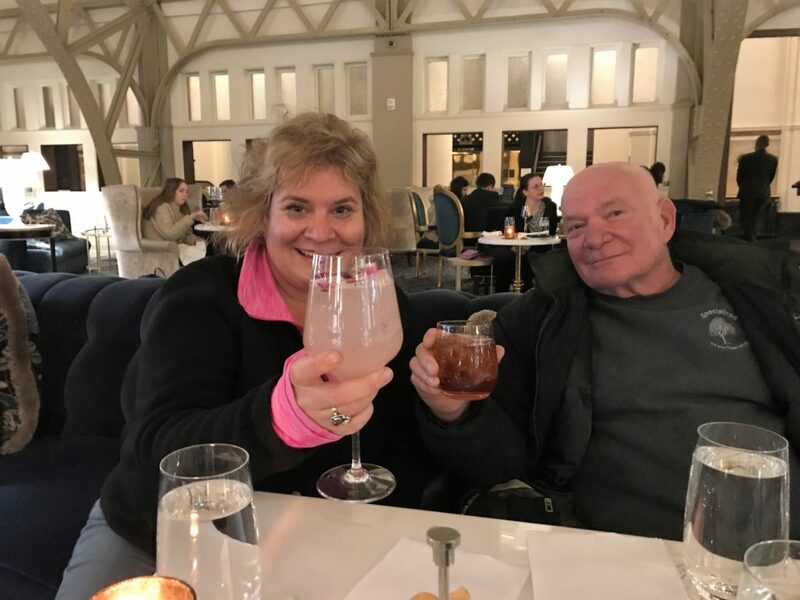 Last November, I somehow convinced my parents, who visited Washington, D.C., for the first time, we needed to have a drink at Trump International Hotel. We had not dressed for sipping cocktails in a fancy hotel lobby, we dressed for the cold while attending the National Christmas Tree Lighting Ceremony. Because of this, I was not sure how we would be received. Entrance Rug into Trump International Hotel in Washington, D.C., Nov. 2018. After stepping into the Trump International Hotel lobby, we headed toward the Benjamin Bar & Lounge. It was about 8 p.m. on a Wednesday night and the place was buzzing! We were immediately seated at a small table. My dad and I sat on a blue bird colored velvet sofa while my mom sat across from us in a chair. Next to us was a cart with bottles of champagne. For whatever reason, I felt the need to let our server know we were “only” ordering drinks. He was totally fine with that. I suspect a lot of curious Washington, D.C., tourists do the same thing. 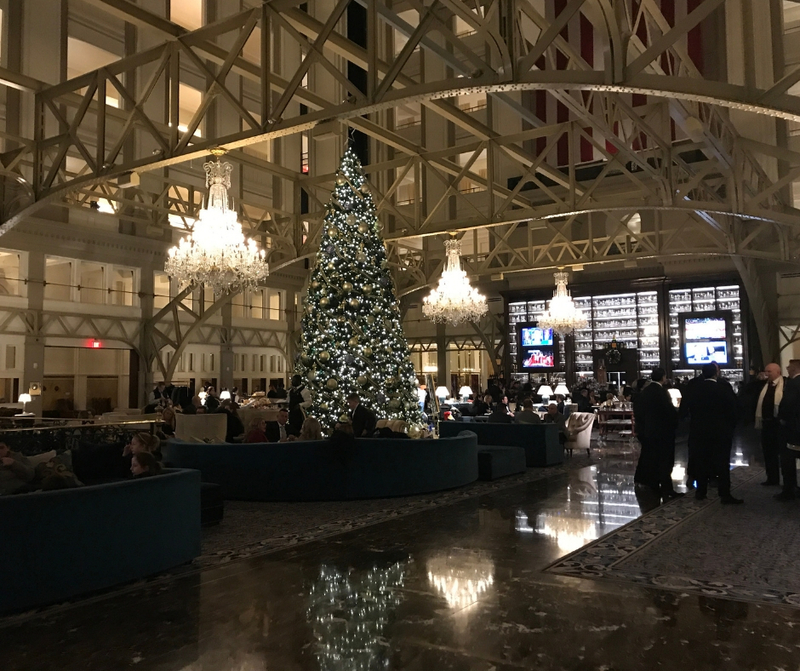 Lobby of Trump International Hotel and Benjamin Bar & Lounge, Washington, D.C., Nov. 2018. 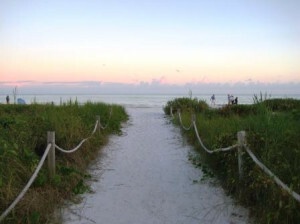 A Place for Negotiations and Deals? The lobby was stunning in its Christmas décor, although I could tell without the holiday spirit, it is always gorgeous. Trump Hotel International in Washington, D.C., is a former U.S. Post Office and listed on the National Register of Historic Places. Crystal chandeliers sparkled. The lobby is sharp and elegant with a dark, marble floor and crisp, cream-colored atrium with arches and gold-tone accents. Staff, dressed in black and white uniforms, were busy greeting and serving lounge patrons. 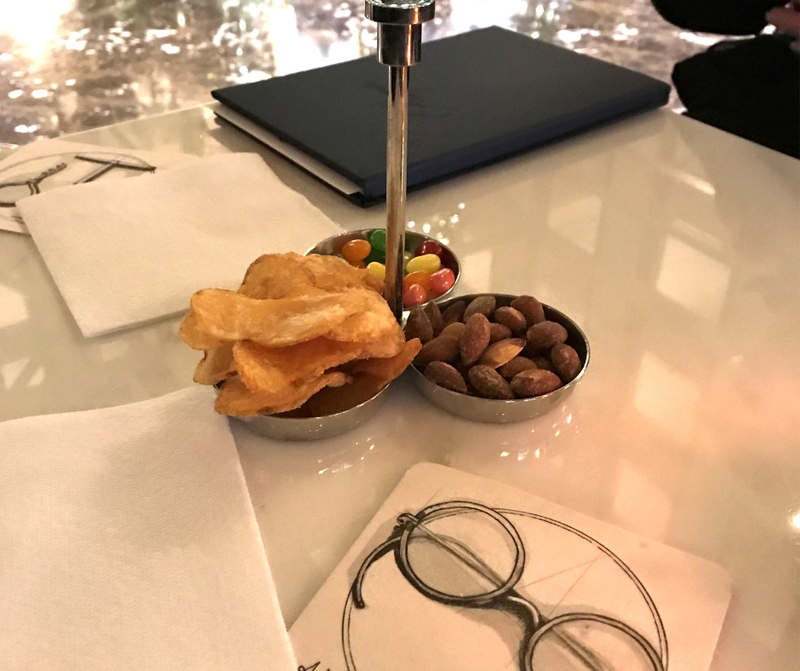 Benjamin Bar & Lounge at Trump International Hotel in Washington, D.C., Nov. 2018. 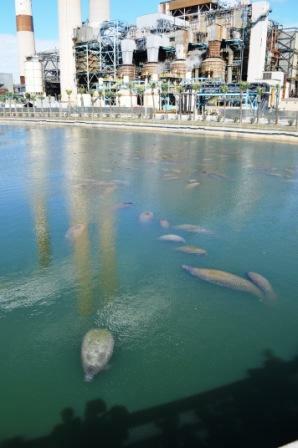 I glanced around and wondered if high-profile negotiations, or clandestine deals, were taking place. Some kind of conference took place at the hotel. One of the speakers, wearing a suit, blue and white trucker hat that read “Admit Nothing, Deny Everything,” and American-flag tie, chatted with us for a bit. We also chatted with the couple sitting next to us. The Belle of the Congress Drink, $27 at Trump International Hotel, Washington, D.C., March 2019. After browsing Benjamin Bar & Lounge’s signature cocktail menu, I selected The Belle of Congress. 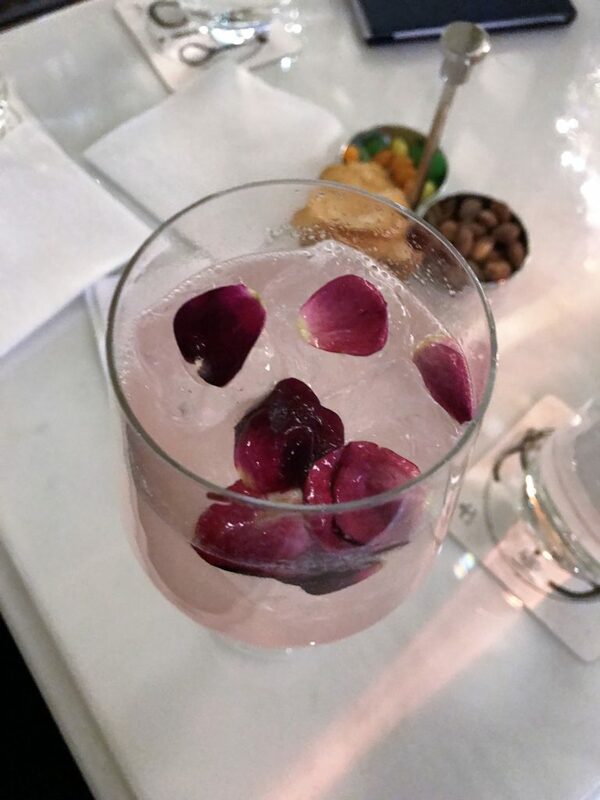 It was a delicate and refreshing beverage made with Belvedere Vodka, champagne, lavender, lemon juice and flowers for $27. Yes. $27. It’s about the experience, right? Despite feeling underdressed, I felt elegant sipping the pink cocktail in the heart of D.C. My dad ordered a Manhattan and it was the best one he’s ever had. (Probably because it was primarily bourbon, Maker’s Mark). My mom does not drink and since she was the adult for the evening, she sipped water. We nibbled on complimentary chips, roasted almonds, and Jelly Bellys and watched and listened to the electric D.C. world function. Saying, “I walked in without any expectations,” is pretty lame. Truth is, I had expectations. What I experienced was not what I expected. I expected to be uncomfortable and disregarded for my attire and political ideology (I’m left of center), although, it’s not like we had that stamped on our foreheads. What I experienced was warm, welcoming hospitality. I tried to convince my parents we needed to hit up the Watergate Hotel bar next, but that will need to be for another time. 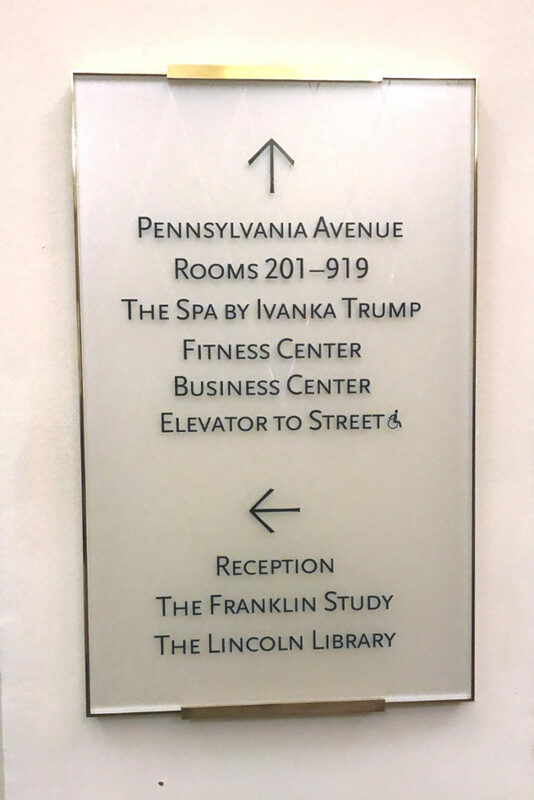 Should You Visit Trump International Hotel in Washington, D.C.? We’re living in a polarized world. Some friends chastised me for spending money in a Trump Hotel property while others cheered me. I kinda feel as though I should have some sort of philosophical words of wisdom about the experience, but I don’t. I will say, (okay, I know, this was not supposed to be a political post) it seems politics has made us meaner over the years and we are more divided. Is this what we want? We Americans need to get back to remembering we are all in it together. We want the same things out of life, just a different perspective on how to get there. I always try to remember, who benefits when we’re divided? 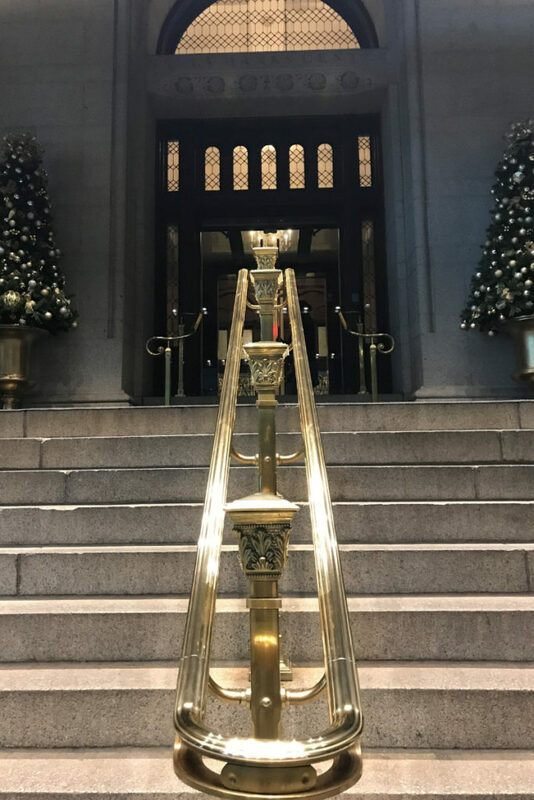 Steps Up to Trump International Hotel in Washington, D.C., Nov. 2018. Yeah, purchasing something at a Trump property is putting money into his pockets. BUT, it is also supporting everyday Americans, the people who work for the organization. 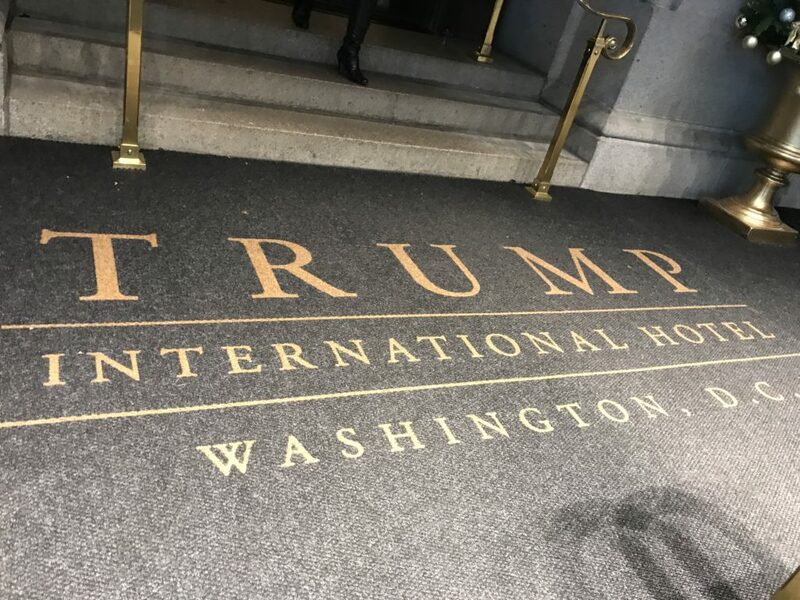 No matter your political ideology, when visiting Washington, D.C., visit Trump International Hotel, check your political ideology at the door, open your mind, and enjoy the moment. Next time go to Off the Record instead. There’s a lot of history in that bar and the cocktails were great (and only about $22). Also, I hope that cocktail came with a tax break.